I first visited Campbell River in 1997. Driving in along the Old Island Hwy, and seeing the spectacular view, I knew I’d found paradise. 5 years later, I couldn’t take it any more. I packed up everything and left Kamloops. I have lived in Campbell River ever since and couldn’t imagine anywhere better to call home. In September 2008, my husband and I brought a beautiful baby boy into our lives. If we didn’t already love it here, deciding where the best place to raise him would be, brought a new awareness to how great this community is and how much it has to offer. Since moving here, in addition to working as a Realtor, I’ve been employed in Retail, Tourism, and Mining. I have enjoyed every field of work and had the chance to make so many great connections with the wonderful people of Campbell River. People are what really make a place great. Community spirit is high here, and it’s hard not to notice. My family has had the pleasure of being involved in many community events, and it is always a great feeling seeing so many people and local businesses coming together to celebrate and support our community . Please call me anytime. I look forward to your call. If you are not from here, but are thinking of moving this way, I know you will truly enjoy Campbell River as much as I do. I would love the opportunity to find just the right place for you to call home. 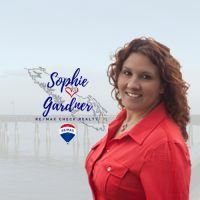 Whether this is your first home or your dream home, I have the skills, passion, and dedication to find you exactly what you are looking for when you are ready. Your satisfaction is my top priority! I will take the time to listen to your needs and desires and help you find your perfect home. I’d be happy to give you a free market analysis so you can see how your home measures up against the competition. I will also drop off a pre-listing package to show you how I will get your home sold for top dollar and in a timely manner. My online and offline marketing programs give me the edge needed to make this possible.